Now that I'm officially on my summer break, it's easy for me to sleep in and watch Netflix throughout the day... especially after my busy five day vacation to Portland and Las Vegas. 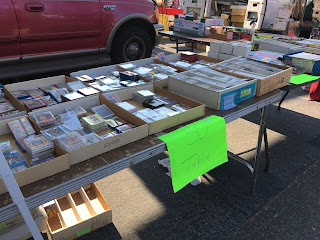 But last Saturday, I forced myself to get out of bed and head over to the De Anza Flea Market for some exercise and the possibility of finding some hidden treasures. The weather was nice and the turnout was better than average. Although there weren't an abundance of sports memorabilia vendors, I did see the usual suspects. Last year, I broke down each of the regular vendors that set up each month at this flea market. I described one of them as The Used Car Salesman, because it's impossible to casually window browse through his stuff without feeling pressured into buying something. My solution? Avoid this vendor. But this time he had a bunch of 5,000ct. 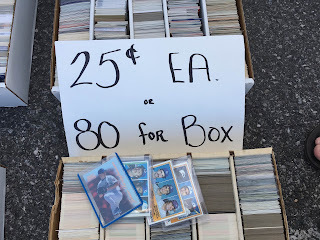 boxes laid out on the ground with a 25¢ price tag. I've been really good about cutting back on low end purchases, but there were a few guys digging through his stuff, so I stopped to see what all of the hype was about. 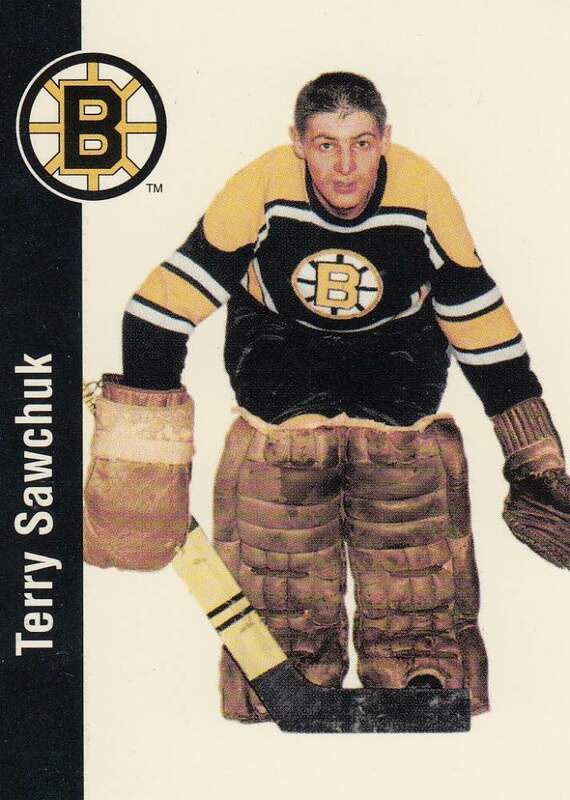 A rookie card of a hall of famer? I'll buy that for a quarter. 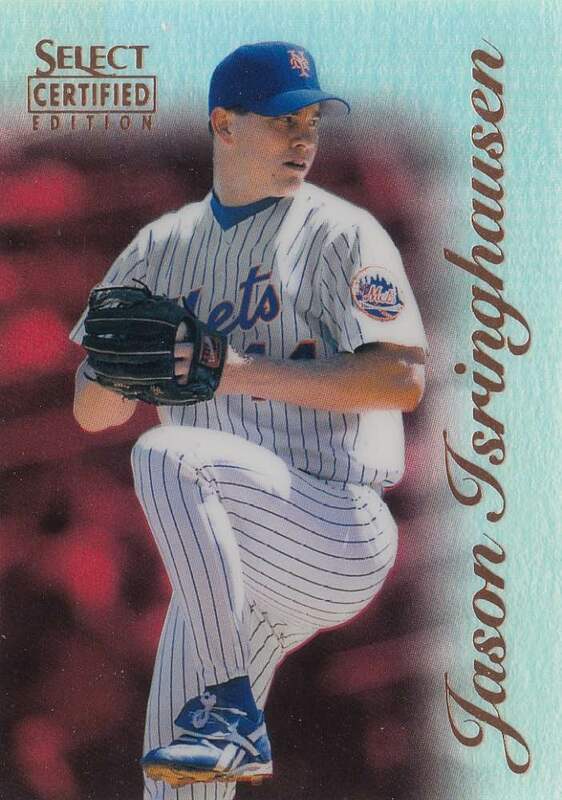 And the Isringhausen looks like just another shiny card from the 90's, but it's actually a pretty rare parallel that's worth a quarter in my book. Like a fish attracted to a shiny lure, I'm attracted to shiny cards. I've always been a huge fan of holograms... even ones featuring super heroes. 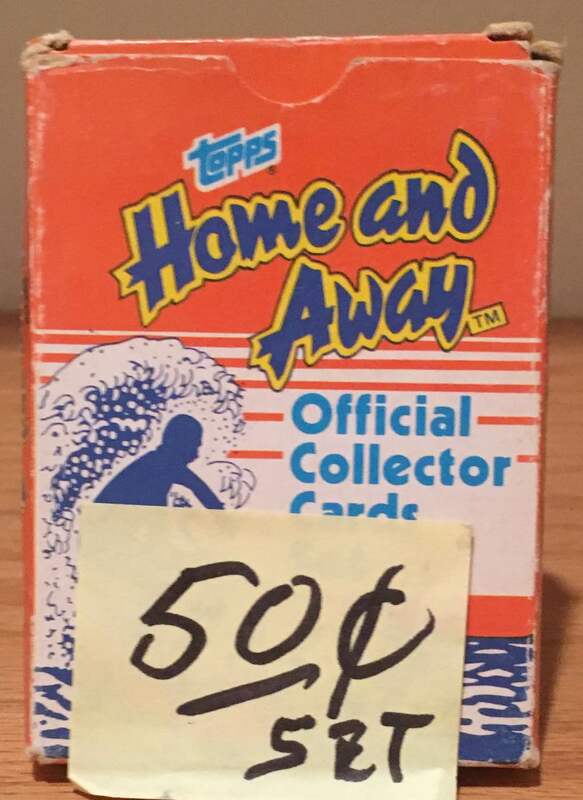 A couple was liquidating their non-sport inventory and had some pretty nice deals on complete sets from the 80's and 90's. 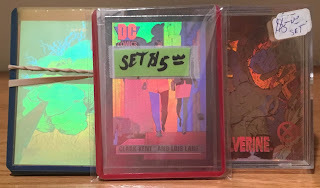 I was tempted to go on a shopping spree, but wound up leaving with only these three early 90's DC and Marvel hologram sets for $2.50 each and an Australian TV show boxed set for a quarter. 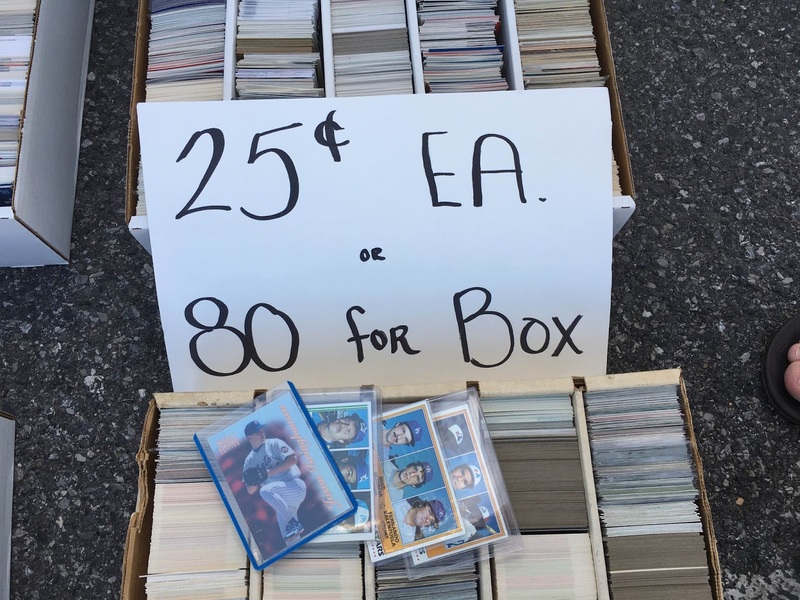 As I was walking away from the couple's table, I noticed they had a few opened boxes and some loose packs of sports cards. 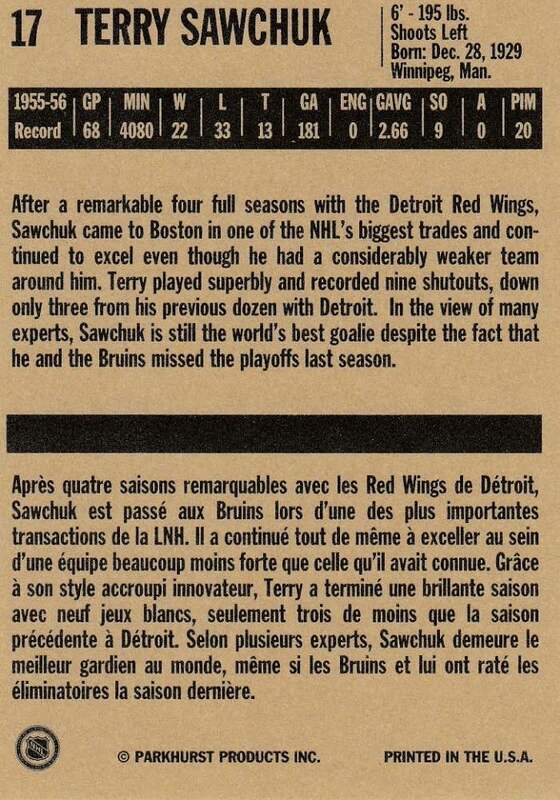 Most were of the "junk wax" variety, but I did wind up buying these retro hockey packs. 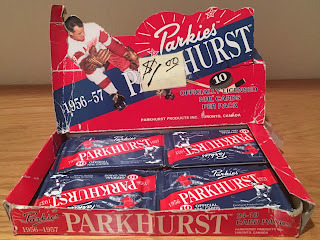 Since I purchased the non-sports sets, he offered me the last 16 packs for $6. I actually love the set design... and I'm tempted to chase down the 40 cards I still need to complete this 180 card set. 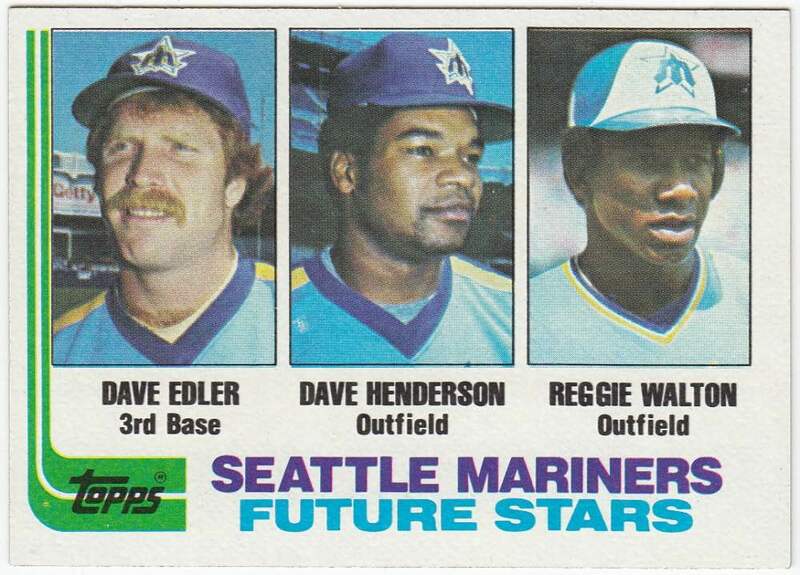 Like so many partial sets I have laying around... I've got to decide if it's worth the effort. Well that's it for my latest trip to the local flea market. There's another one tomorrow at the Capitol Drive In. That's the flea market I'm trying to avoid... but it's not often I get to attend on Thursdays when there's a lot of "garage sale" items. I guess we'll see how I'm feeling in the morning. Those 90's comic book hologram cards hit me right in the childhood. A Timmy RC for a quarter, I'd buy that too. 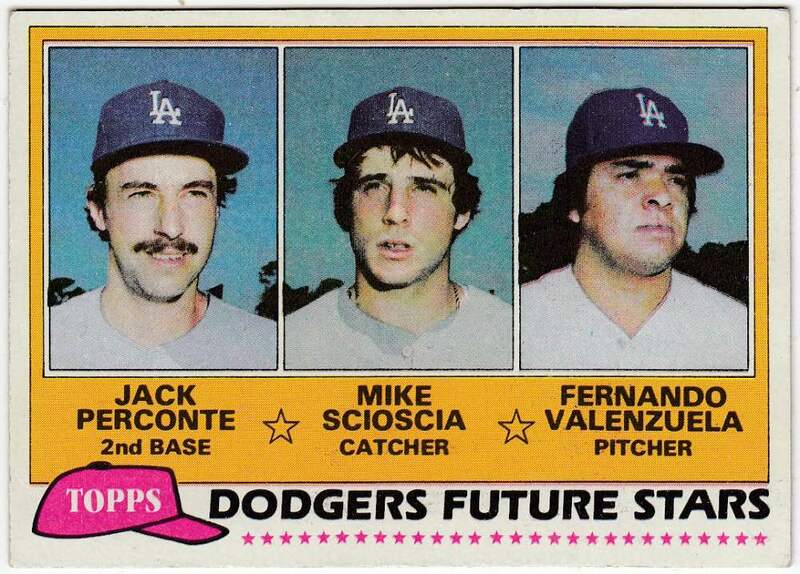 I've been to many a Used Car Salesman table at flea markets/card shows. Like you, I usually avoid them, but I think those quarter boxes warranted at least a brief tour through his showroom. Cool Australian Set. Looks like a productive day. 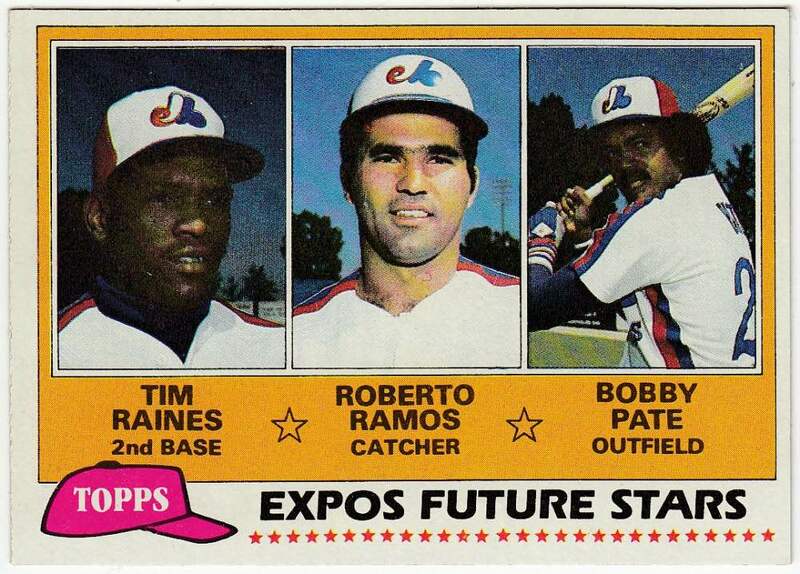 Nice Raines find, lucky the other guys didn't grab him first! I picked up a small lot of packs (a few?) 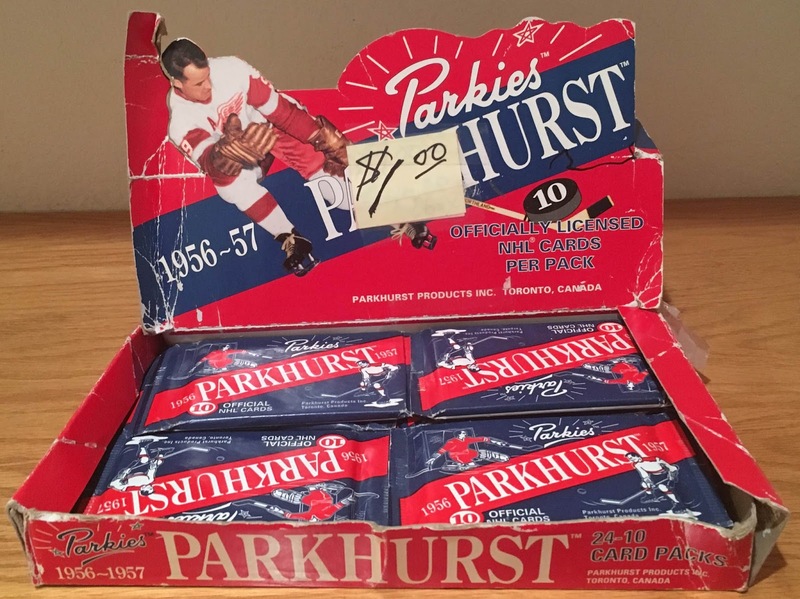 of the Parkies on Ebay years ago. It really is a fun set. Great buy! jafronius - one guy was focused on basketball and the two others were checking out football. hackenbush - might need to look for some on eBay myself since i'm gonna try to build it.